If you have not had a chance yet, please check out the North Carolina Sesquicentennial web site. I am really looking forward to this celebration. However, I do have two concerns. One, I hope that the Sesquicentennial events move beyond the hallowed halls of academia. 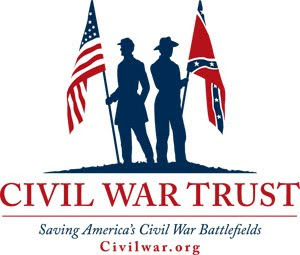 We need events, local events, in every county of the state, in an effort to get local people interested in Civil War history in their city or community. 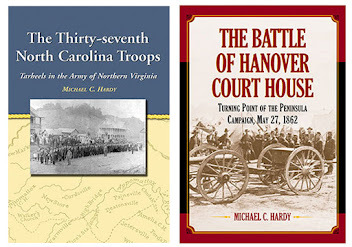 Every spot within the state has some ties to the events that transpired between 1861 and 1865. Second, I hope that the western portions of the state receive their fair coverage. So many times we in the western part of the state get shunned as pro-Unionist hillbillies. Folks seem to forget that in the western part of the state, enlistment in the Confederate army outpaced enlistment in other parts of the state during the first part of the war. Folks also seem to forget that two western North Carolinians, W. W. Avery and Thomas L. Clingman, played a large hand in taking North Carolina out of the Union. Also forgotten is that our most famous governor, Zebulon Baird Vance, was from the western part of the state, along with most of our most famous regiment, the 26th North Carolina. Lastly, folks seem to forget that Asheville was once considered for the capital of the Confederacy. Our trip to Wake Forest was good. However, it rained all day Friday, so I got no sight seeing/cemetery crawling accomplished. On Saturday, we drove to Morganton for an author's festival, which went really well. 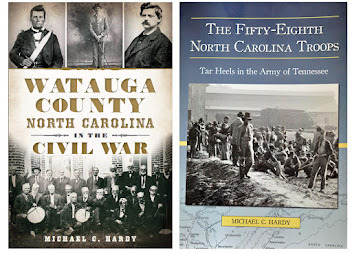 Terrel Garren was there, author of Mountain Myth, along with Jerry Goodnight, co-author of The Tarheel Lincoln. 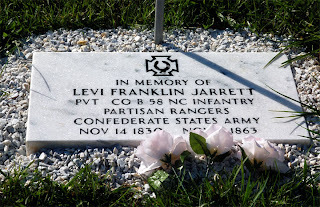 On Sunday afternoon, I had the chance to participate in a memorial service for Levi Franklin Jarrett, a member of Company B, 58th NorthCarolina Troops. The descendants of Jarrett placed a cenotaph next to the grave of his wife in the Lily Branch Cemetery in Mitchell County. Jarrett died in November 1863. His final resting place is unknown. He died of the measles, possibly in Atlanta, or Chattanooga, or maybe even in Newton, NC. There are good stories to back up each of those places. There are seven other Confederates and one Federal soldier buried inthe Lily Branch cemetery. Yesterday, I finished transcribing the Gettysburg section of the diary of Lt. Nathaniel Horton of Company B, 37th North Carolina Troops. I have edited the transcript, and made some remarks about Horton's service. Horton was wounded and captured on July 3, and was in prison until the end of March 1865. Tonight, I'm off to App to continue my research into the 58th NCT. Sorry for not posting more this week - been hard at work on the 58th NCT book. I’m off to Wake Forest today. My darling wife is presenting a paper at the Seminary’s C. S. Lewis conference tomorrow. 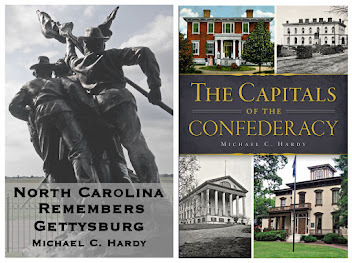 On Saturday, I’ll be signing books at the authors fair at the public library in Morganton. If you are in the area, stop by and say howdy! Ok - time to change campaigns. I have this article about the 37th NCT at Gettysburg that I've been tinkering with on and off for about three years. I always get to this point and the article comes to a grinding halt. Here is the sticking point. Lt. Thomas Norwood writes in July 16, 1863 letter: "I was taken prisoner when I was wounded. I was very near the batteries when I was shot..."
Norwood adds in his October 6, 1877 letter: "The cannoneers then left their guns. I rushed forward thinking the day was ours." Whose artillery is Norwood talking about? The common interpretation is Egan's section, posted near the Bryan Farm. But Norwood makes no mention of being captured near the Bryan farm, or farm buildings. He was"very near the batteries..." Could it be that Norwood was captured nearArnold's remaining piece, before Weir comes up? I can also find no reference to Egan ever abandoning his section of artillery. I am really interested in other folk's interpretation of these two statements. After leaving Crow Valley Road, I drove a few miles north to visit the Chickamauga battlefield. I stopped by the information desk, and picked up some files to go through. Park Ranger Lee White was more than helpful, andI greatly enjoyed chatting with him. I did find a few good pieces of information that I did not have, and I was able to leave a few pieces that the park did not have. While waiting for photocopies, I wandered through the museums. The weapons collection is one of the best, if not the best, in the country. I wonder how often they open those cases and clean all of those musketsand rifled-muskets. 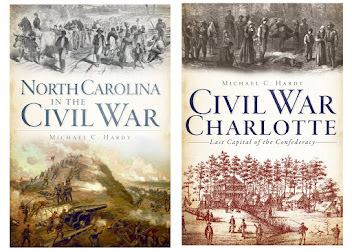 There were five North Carolina regiments at the battle of Chickamauga. 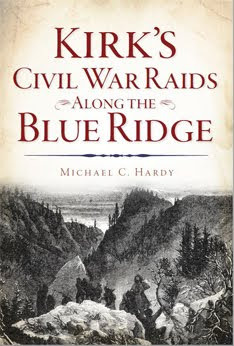 Instead of the infantry regiments being brigaded together into one Tar Heel brigade, the regiments were spread out. After leaving the museum, I headed to Snodgrass Hill. For some odd reason, which I am sure was logical at the time, I decided to trace the path of the 58th North Carolina in reverse. I started at Snodgrass Hill, looking for the monument of the 58th North Carolina. I had visited this site once before, in February, probably in 1999. It took several minutes to orient myself to the map that I had purchased. By the way, when are the western theater battlefields going to get the map work of Fredericksburg or Spotsylvania? After several minutes of searching, I found the monument to the 58th North Carolina. This is the only monument in existence to the regiment. After taking a lot of photographs, I set out in search of the iron tablets to Kelly's brigade and Preston's Division. All three of these are not on the well-traveled path, each requiring a hike down some path through the woods. Two of these markers were not that far from Snodgrass Hill. The last was on the other side of the park, not far from where the brigade crossed over the Chickamauga River at Dalton's Ford. I spent the rest of the evening photographing different monuments. Yesterday, I received a letter from Andy Turner, the newish editor ofGettysburg Magazine. Gettysburg Magazine is a publication devotedentirely to the study of the Gettysburg Campaign. I've been subscribing for about six or seven years, and I've had three articles, all about North Carolina, published in the magazine. Each issue of the magazine runs about 150 pages, has great maps and photographs, and no advertisements! It is released twice a year and is an incrediblere source. To be honest, it is more of a academic journal than amagazine. The subscription rate has remained steady for many yars now at about 1,500. I find it hard to believe that in this entire country there are only 1,500 people who would want to subscribe to this magazine. This is where we can use your help. If every subscriber could get one new subscriber, it would go a long way to securing the future of the magazine. It could be a friend, a fellow Round Table member, or even the local library. Every subscription helps. Busy weekend as usual. I was at the heritage festival in Spruce Pine on Saturday and had an enjoyable time. Yesterday, after church, I headed to ASU to continue to go through the 58th NCT’s compiled service records. I found a great letter, a petition to Colonel Palmer from the officers in the regiment asking for a chaplain for the regiment. Tonight, I’m off to the Mitchell County Historical Society to give a talk. This upcoming Saturday, I’ll be in Wise County, Virginia, giving a talk for their local SCV Camp. After leaving Tunnel Hill, I stopped and got some lunch. While I was eating, I pored over a map that I had gotten and found what I was looking for - Crow Valley Road. It was off this road that on May 4, 1864, twelve members of the 58th and 60th North Carolina Troops were executed for desertion. I do not know where these men are buried (yet). It was in this area that the battle of Rocky Face Ridge was fought between May 7 and 13, 1864. I found this historical marker on the edge of some woods. The actual fighting would have taken place to the right of this marker. For some reason, I did not take a photograph of that area, which is odd for me. I took over three hundred photographs in three days. One of the first places I visited on my trip was Tunnel Hill. I was at Tunnel Hill maybe eight years ago, before the museum and tunnel were opened. It was in September, and I was there for the reenactment. This time I was on the hunt for information. One of the 58th NCT diarists reported being at Tunnel Hill from September 24 to October 9, 1863. I was hoping to run into someone whocould help me find the burial site of the Dalton executions. I had n oluck with that quest, but I did enjoy the museum and a walk in the historic tunnel. I did find the names of three North Carolina soldiers who died at Tunnel Hill during the war. The first name on the list was Jesse C. Black. There were soldiers by this name in both the 58th NCT and the 60th NCT. The Jesse Black in the58th NCT died in Charlotte at the end of the war. I looked up the other Jesse Black, and according to the troop books, he was reported as sick in the hospital in March-April 1863, then died at Tunnel Hill on May 7,1863. Next one the list was Martin V. Lankford. 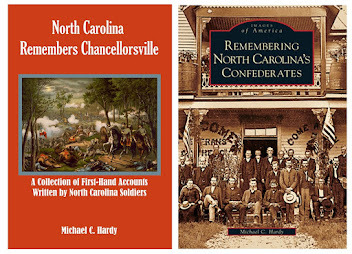 According to the troop books, Lankford served in Company K, 16th North Carolina Troops. He was from Polk County, and enlisted on April 20, 1861, at the age of 26. Lankford was discharged on October 12, 1862, by reason of "secondary syphilis." Just how he got to a hospital in Tunnel Hill, Georgia, is a mystery. Last on the list was William F. Patton. There were several soldiers by this name who served in different North Carolina regiments. There were two, a William L. and a William S. in Company E, 62nd NCT. I'llneed to look these up at a later date. All three of these, along with many others, were disinterred from the Citizens or Foster Cemetery in July 1869 and taken to Ringgold, then onto the Confederate Cemetery at Marietta, Georgia. If you ever have a chance, stop by the Tunnel Hill Heritage Center. It is areally neat place. We got back from our trip west late last night. I did not get to a third of the places that I wanted to or needed to visit. But, I had a great time nevertheless. Boy was it hot! I did not take this trip this past summer because of the heat. It was in the 90s the whole three days that I was gone. I will post more about the trip later. 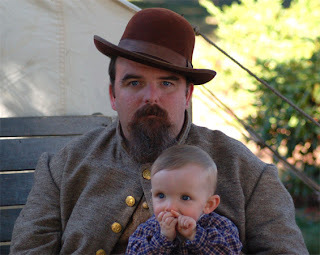 This photograph was taken at Ft. McCook at Cumberland Gap. I’ll have a report on these in the near future. Well, I’m off today for a trip to the battlefields of north Georgia. 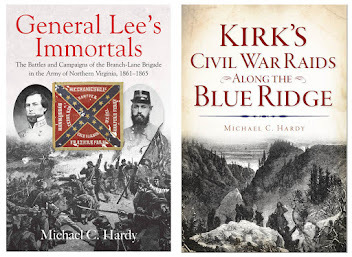 Some of these sites I’ve not visited in several years - probably a decade since I’ve been to Chickamauga/Chattanooga probably two decades since I’ve been to Kennasaw Mountain. I’ve never been in downtown Atlanta. I am really looking forward to this trip and the research that I’ll get done. I will not be posting while I’m gone, but should have good pictures when I get back. That last post was my 100th - a small milestone. I do wish that it had been on a happier subject. I finished chapter 5 of the 58th NCT book last night. The regiment has left Cumberland Gap and is on the way to Big Gap Creek. When writing such a piece as a regimental history, you often come across things that just beg for more information. Sometimes, you are able to uncover what you need, and sometimes not. I mentioned this before, but I have a new example. On Tuesday evening, I was transcribing a letter by Isaac Bailey, Company B. Bailey would go on to become Captain of Company B. This letter was written on October 2, 1862, from Cumberland Gap. I came across this sentence: "Tell Curtis that Palmer has not had me under arrest any more, But he has had all of the Commissioned officers under arrest." Earlier, I came across the resignation letter of Capt. Jacob Bowman, also of Company B. Bowman resigned on March 5, 1863, because of charges brought against him. These two statements beg for more information. There is a story here, and maybe I'll get to tell it. Some might say, well these two events are indicative of the conditions of the 58th NCT. That's true to some extent. They were unwilling volunteers or conscripts. Their personal freedoms, freedoms they had always exercised, had been replaced by a code of military discipline. Plus, for a colonel, they had an extremely intelligent, Northern-born commander. That's not to say that almost all regiments did not have some of those same problems. I could pull numerous examples from my shelves of men saying the same things when they started to go to the war. And many histories agree that the part of the April 1862 Conscription Act that allowed men who reenlisted to reorganize their regiments with new officer elections was extremely damaging. This act replaced good men with a lot who valued discipline less. Like I said, there is a story here and I hope I get to tell it. Anyone know if Kirby Smith had a judge advocate on staff? How about Braxton Bragg? 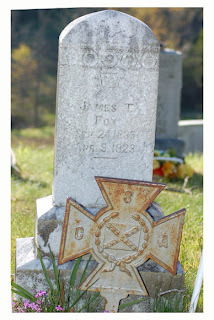 We discovered last week that Yancey County’s last original iron cross, found on the grave of James T. Fox, a member of the 58th North Carolina Troops, has been stolen. This iron cross was located in the Holcombe-McCracken Cemetery. There is a Reward being offered for return of cross or information that leads to arrest and prosecution. If you have information, please contact the Yancey County Sheriff’s Department at (828) 682-2124 or contact the Col. John B. Palmer Camp, Sons of Confederate Veterans at (828) 682-9152. It is amazing how quickly time flies. Has it already been a week since I posted last? We (my family) spent this past Saturday at olde timey days in Burnsville. Our local SCV Camp set up a display, including information tents, a Confederate officer’s tent (mine), and a artillery piece - 12-pound iron Napoleon. We had a great time - it was one of those perfect fall days in the mountains - in the low 70s and not a cloud in the sky. The photo here is of me and my nine-month old daughter, Isabella.